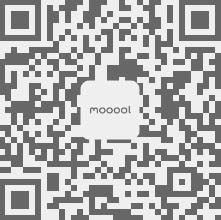 Thanks Studio Fink for authorizing the publication of the project on mooool, Text description provided by Studio Fink. 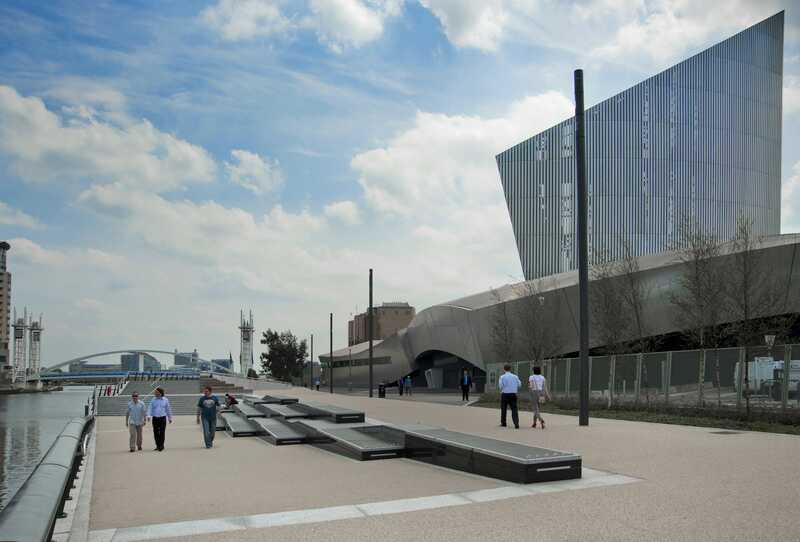 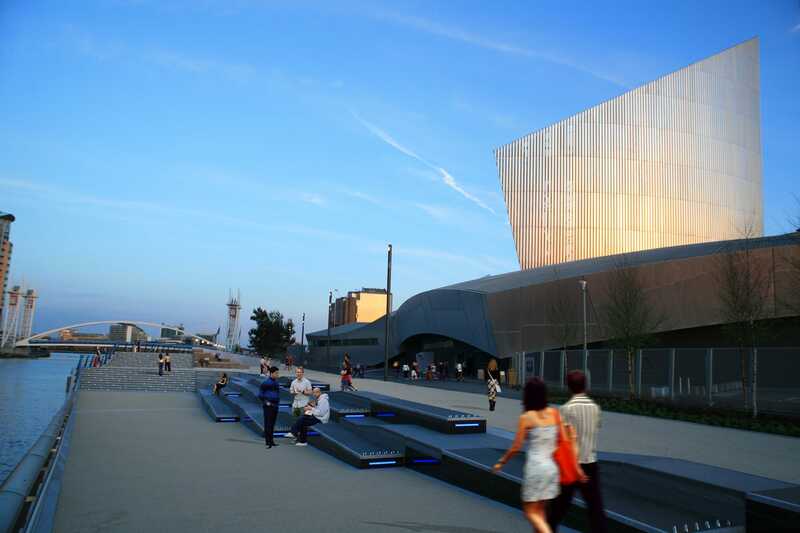 Studio Fink：Quayside designed by London-based Studio Fink in front of Imperial War Museum North by Daniel Libeskind. 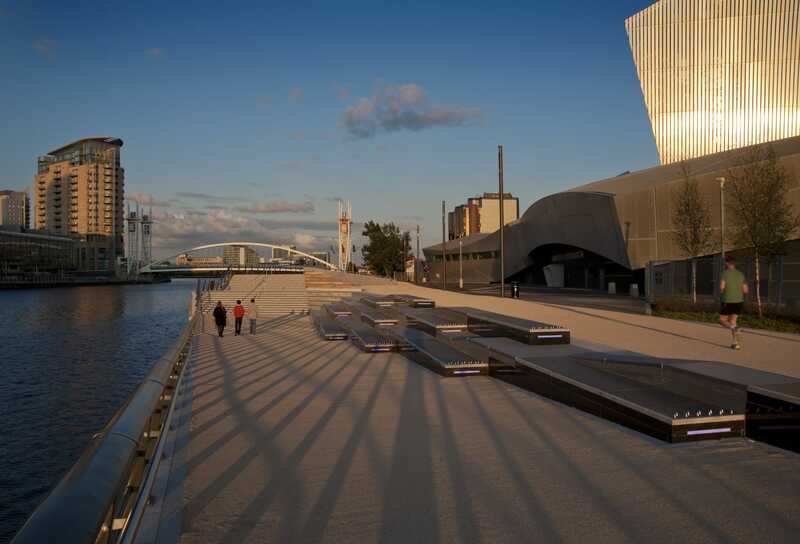 The new quayside completes the first section of the Irwell City Park masterplan, 8km long river edge park linking Salford, Manchester and Trafford developed by Studio Fink in 2012. 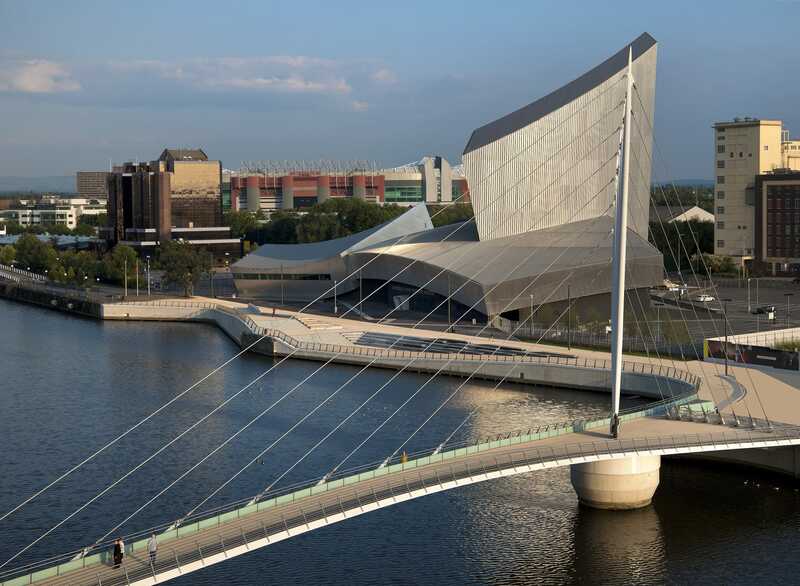 With the adjoining new Media City foot bridge by Wilkinson Eyre Architects the quayside delivers an important new strategic circulation loop in the Quays, a key regeneration zone in Greater Manchester. 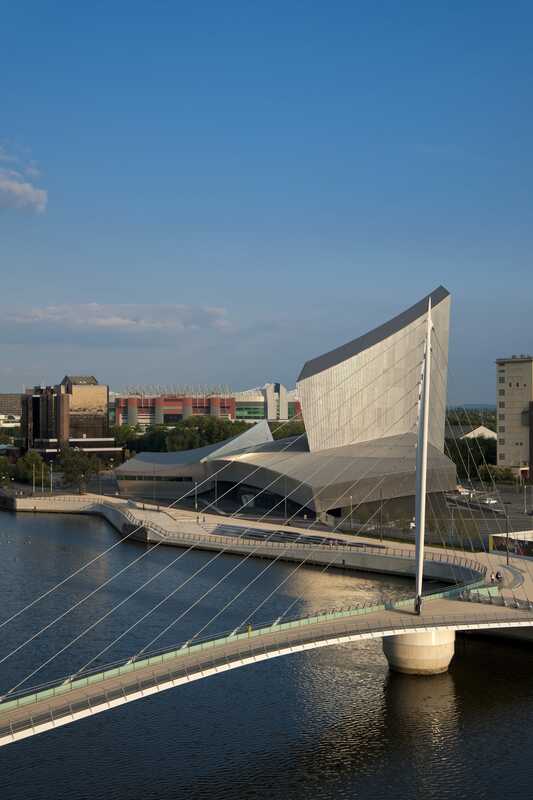 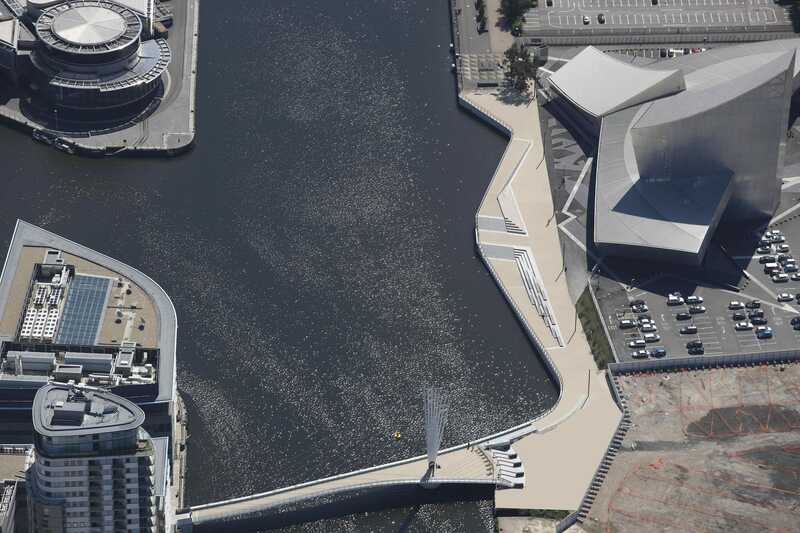 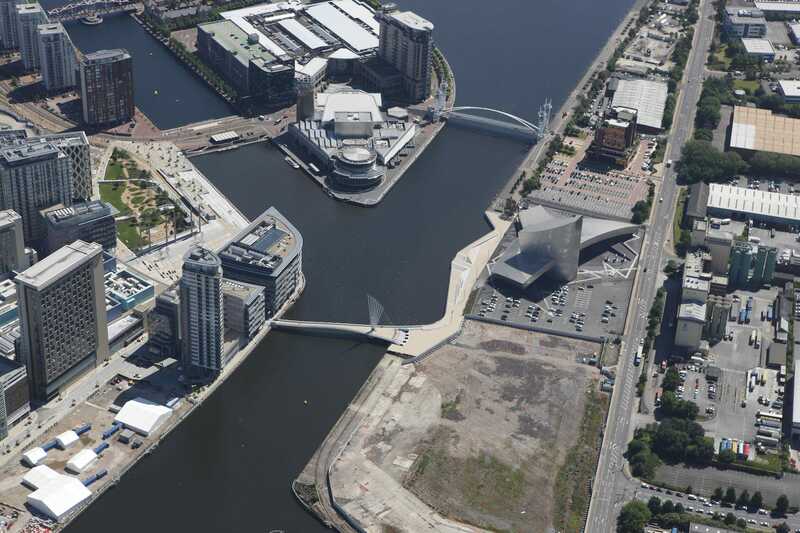 The loop helps to transforms the experience of walking in the area through linking Media City UK – the new home of the BBC, with the IWMN, Manchester United Stadium and Lowry Arts Centre. 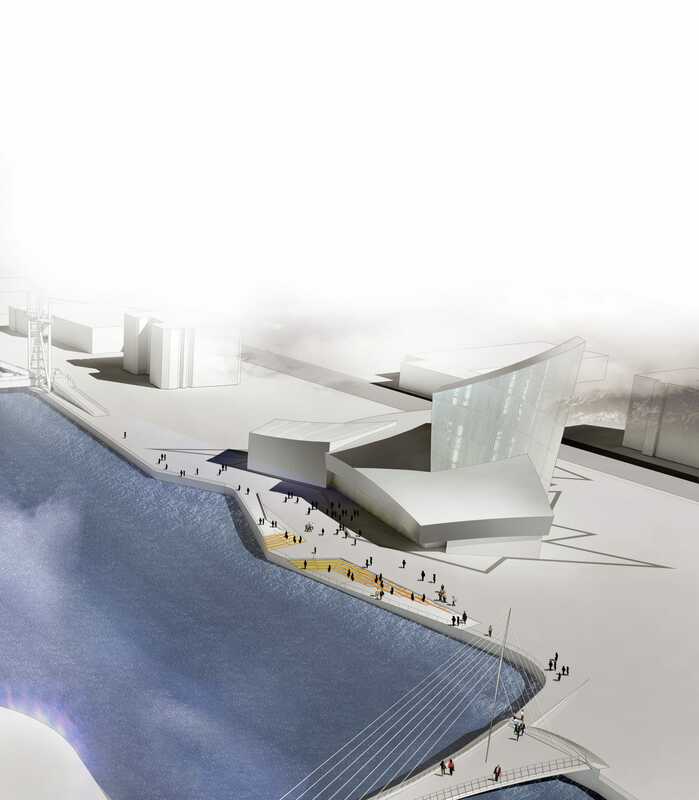 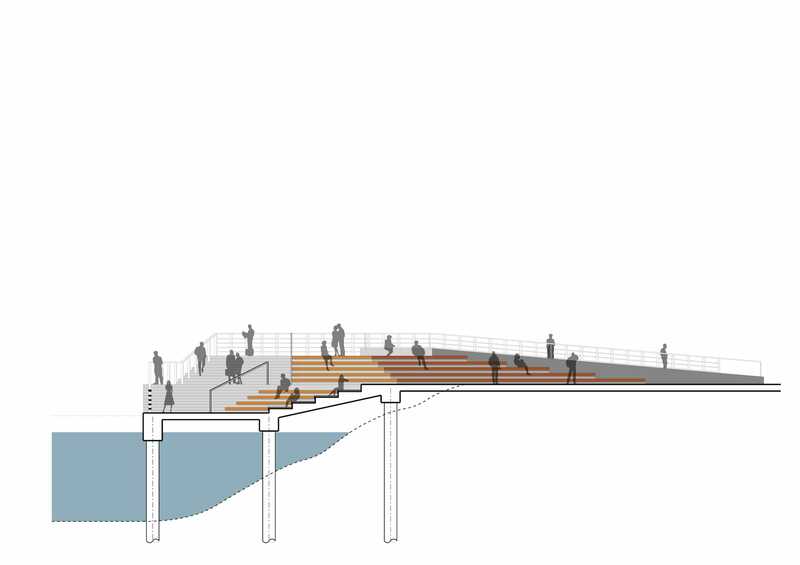 Studio Fink’s design of the quayside plays with convex and concave geometries, creating an imaginative public realm complementing the designs of both the IWMN and the new Media Bridge. 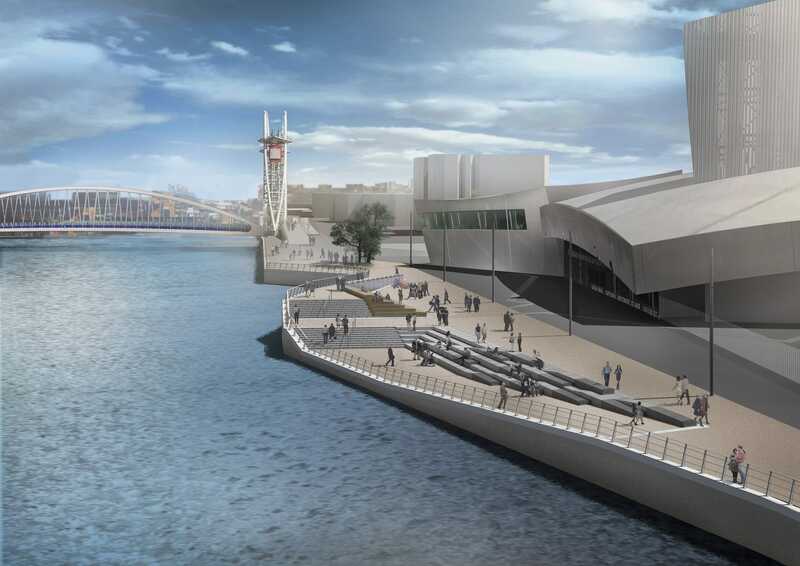 Importantly the project also actively orientates the IWMN towards its water edge with its newly constructed additional entrance now admitting 50% of the museums visitors. 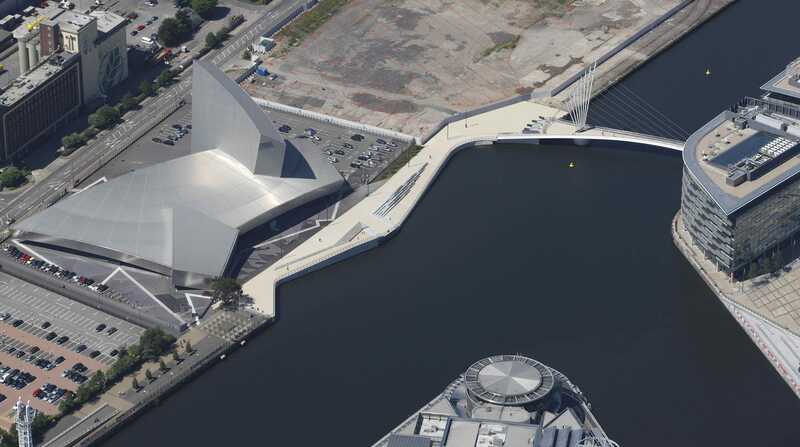 The original severance to movement along the Manchester Ship Canal was resolved by a newly constructed deck and stepped area built over water, delivering generous pedestrian and cycling connectivity as well as a series of public realm spaces that serve as informal performance/educational resource for the museum. 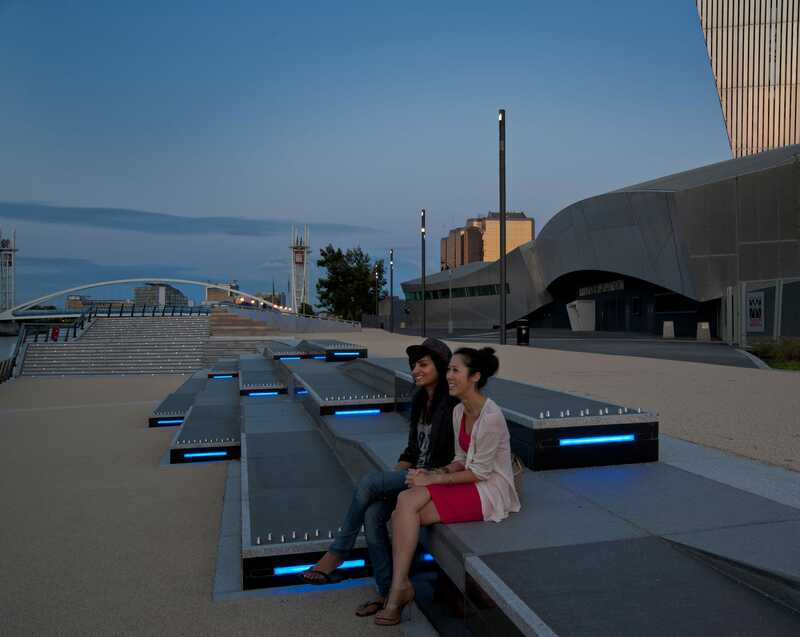 Terraced seating leading down to the water’s edge provides excellent views of the area making the new quayside already a popular destination both during the day and the evenings.